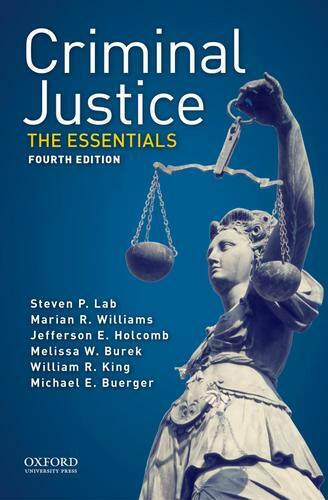 A flexible and cost-effective alternative to larger texts, Criminal Justice: The Essentials, Fourth Edition, covers all the fundamental issues faced by law enforcement, the courts, corrections, and juvenile justice, leaving detailed specifics and tangential topics to the discretion of instructors to cover in class. With abundant examples--and just the right amount of sidebars and "highlights"--Criminal Justice, Fourth Edition, is an excellent resource for introducing students to the essential issues in the field. Visit the Companion Website for a wealth of student and instructor resources.